I just have to do a little bragging here. 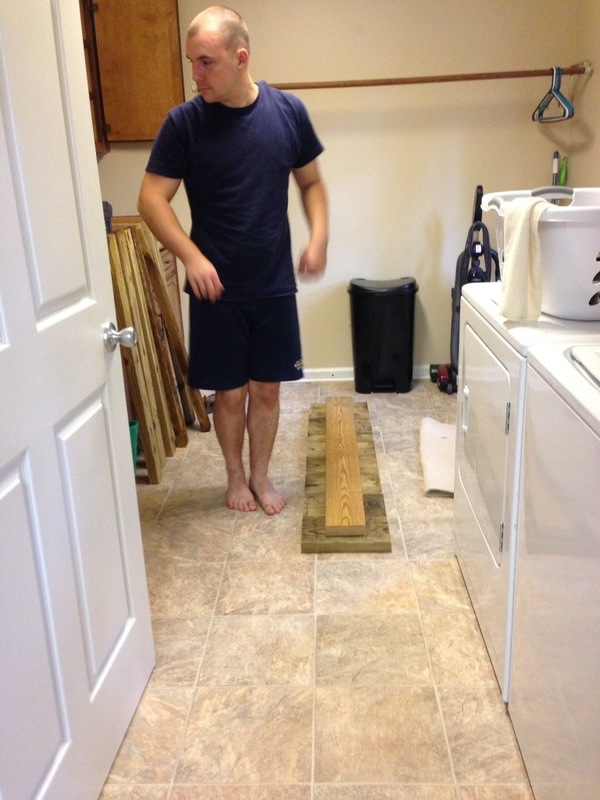 My husband is honestly a jack of all trades. 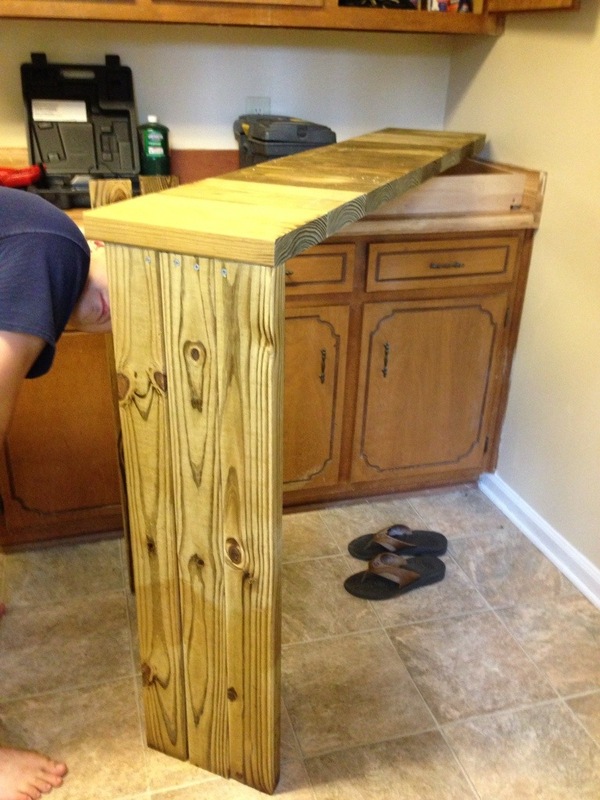 He can succeed at anything that he sets his mind at, and he is also an excellent carpenter. 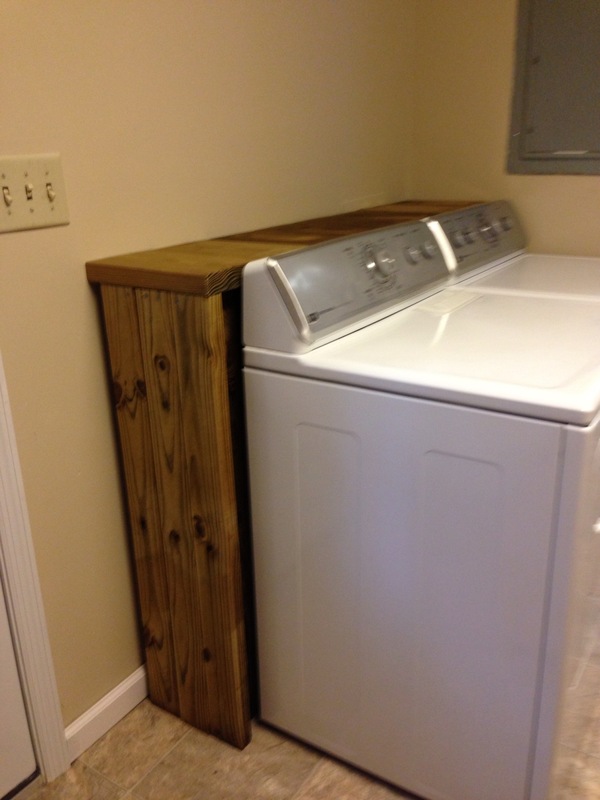 We just bought our first home and aware planning some future laundry room renovations. 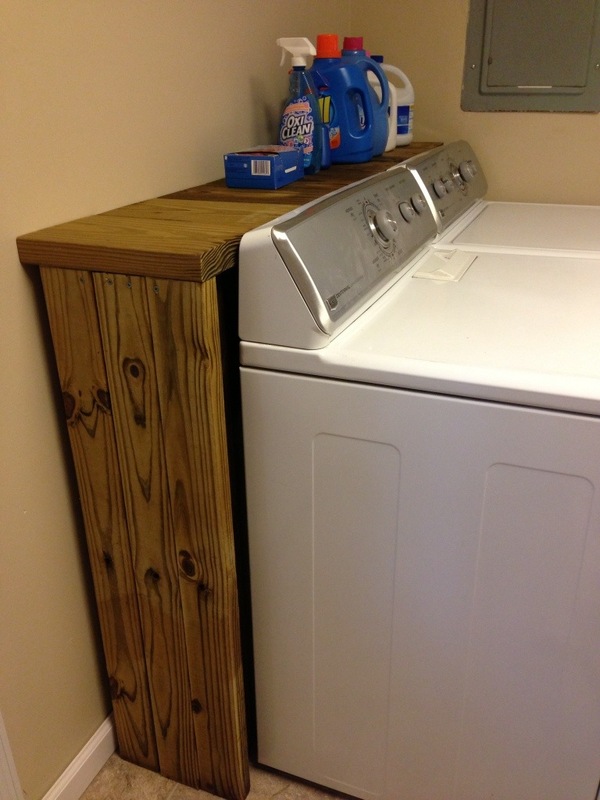 The first of the projects was this laundry shelf for behind the washer and dryer. The great thing about the shelf is you can set all your soaps on it as well as keeping things from falling behind. It also hides the clutter of all the cords and hoses. Josh set to work making it one night and within an hour it was finished! Here is the finished shelf! It turned out better than I even imagined it would! He is so talented!